Surfs up! Ready to catch some waves? Coral sure is! Her surf board and swim suit are always on hand. 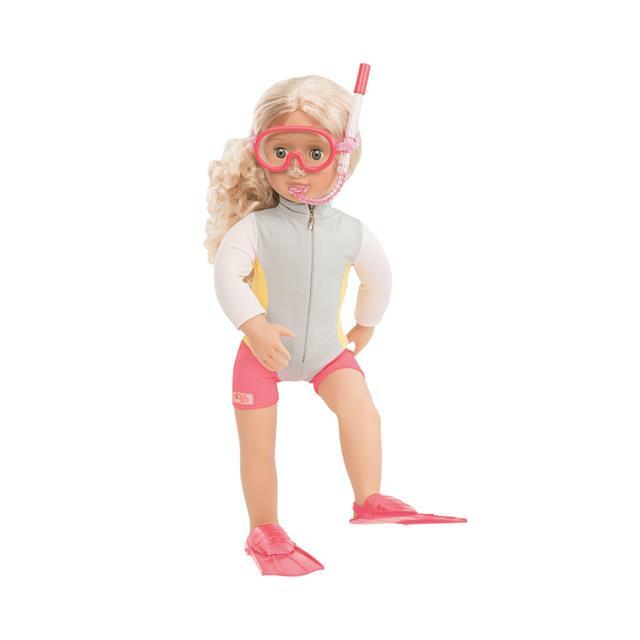 Includes 1 poseable doll, 1 surf suit, 1 pair of undies, 1 cowboy hat, 1 pair of sandals, 1 tank top, 1 pair of shorts, 1 pair of scuba shoes, 1 surfboard with ankle strap, 1 snorkel mask with mouth piece attachment, 1 chapter book and 1 bookmark.